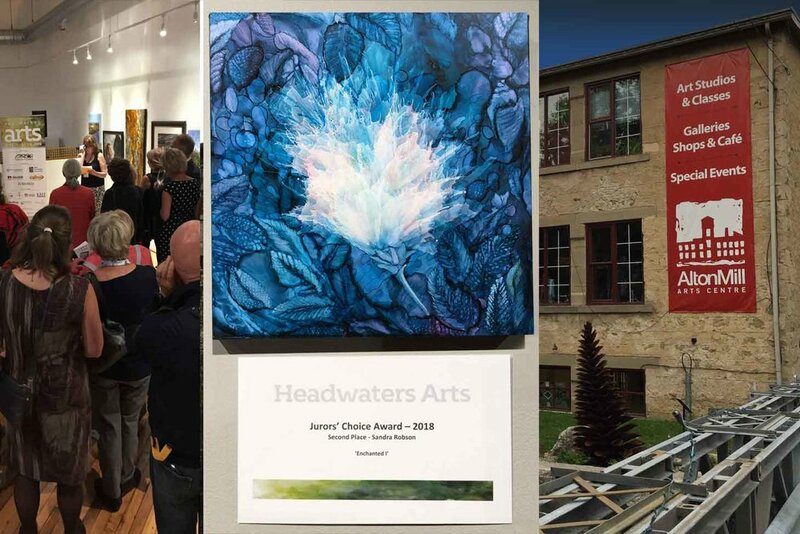 Headwaters Arts Annual Juried Art Show at the beautiful Alton MIll Arts Centre in Caledon, is one of the most respected art shows in Ontario. Prestigious jurors, Regan Hayward - Director & Curator - Beaux Arts Brampton, Sue Powell - Artist & Artrepreneur and Jill Price - Multi-disciplinary Artist, Curator - The Quest Gallery - Midland and Educator - Georgian College, OCADU & MacLaren Art Centre along with this year's curator Alex. L. Richardson - Artist and Educator - Nipissing University - North Bay have chosen 73 works from 54 artists from across Ontario for this two week show. Thrilled to announce that Enchanted I was honoured as recipient of the Jurors’ Choice Award 2018 – second place. This show runs until Sunday Oct 7th, 5:00pm.